I am going to be quick as my eyes are heavy and my body weary. I HAD to share this with you though, because it was just TOO good!!!! I am watching Louie Giglio’s sermon entitles Indescribable on YouTube as I lay in bed and the images of the universe are blowing my mind. As he’s talking, I allow my eyes to wonder around the room at my candles. I notice the glass candle holder I recently purchased looks more beautiful than ever, and I can’t help but stare as the light from the flame dances about behind the colored chips of glass. Then, in an instant, a cross appears in the vase and my breath is absolutely taken away. This glass vase has always had 2 crosses designed on its body, but this is the first time I’ve ever seen them! I’ve had this vase for weeks now, and didn’t notice the beautiful symbol of God on it when it procured it. As I stared at the vase, I said aloud, “I didn’t know You were here.” Obviously, I was speaking to God, whose presence I have been desperate to feel today. 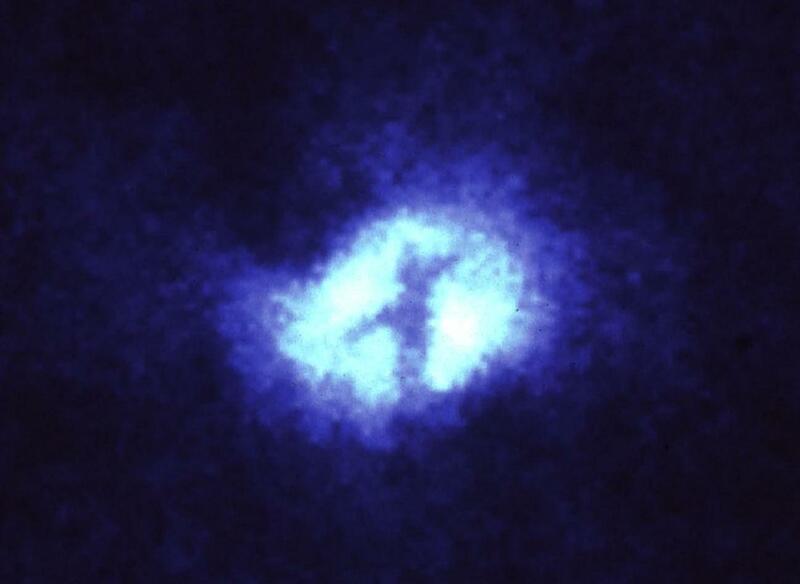 And as I am in awe of this new discover in my home, Mr. Giglio’s sermon takes on a new height as he reveals an image of the cross that was taken by the Hubble telescope of the center of the Whirlpool Galaxy. He’s shouting from the YouTube video, “God is everywhere! God’s Grace and Mercy are everywhere” literally at the same time I am staring at this cross and it hits me: God has always been and will always be here, with me, wherever I go. God is bigger than any problem I could ever have, and my God is here and everywhere, all at the same time! Check out the sermon, it will blow your mind! I will have to check that out. Thanks! One video that blew my mind recently was a video from Francis Chan, showing how immense the universe really is. Amazing to see all (that we can currently detect…) of what God has made! Also made me feel my personal problems are microscopic in the big scheme of things. Powerful stuff. Too true! He’s here with us (omnipresent) we are just not always in the right state of mind or spirit to feel him all of the time. I’ve noticed that in worship experiences I’ve had it takes a few songs to put off my flesh and focus my ind on Him, once I break through those few walls I’m all in and am in the right place, I can feel His presence and it’s awesome. I think the same applies everyday, are our spiritual eyes open? Are we maintaining a correct relationship with Him? I enjoy your blogs. Thanks for posting.